Paulaner Coasters "International" 100 Pcs. 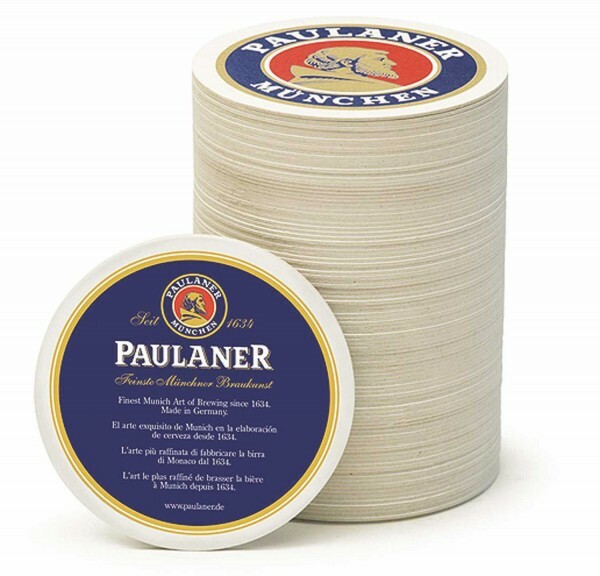 Product information "Paulaner Coasters "International" 100 Pcs." Finest Munich brewers' art since 1634 - Paulaner is beer history, which is something that not only its German fans appreciate. And because the message of genuine Munich beer is so international, the message on these beer coasters is in five languages: German, English, Italian, Spanish and French. Paulaner "Weißbier" Beer Coasters 100 Stk. Paulaner Beer Glass 6x0,3 Ltr.